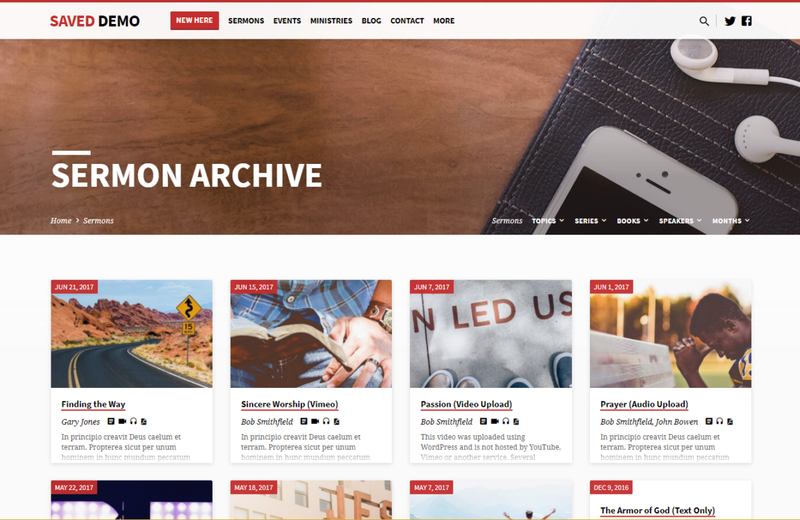 There’s just so much to talk about with this church WordPress theme. You know, that’s not enough not really enough to get the full effect. Take a minute and put this review on hold, and look at the Saved Demo. Isn’t that one of the most beautiful home pages you’ve ever seen? Now, I’m not going to go through and give you a step-by-step install review. Thankfully, churchthemes.com has already provided a lovely guide for you to check, in case you get confused. Instead, what I will do is give you my perspective on the theme. Wow! Just wow! I just love this front page! It’s clean and easy to read, and the video banner??? How awesome is that? I know I’m salivating a bit here, but come on! 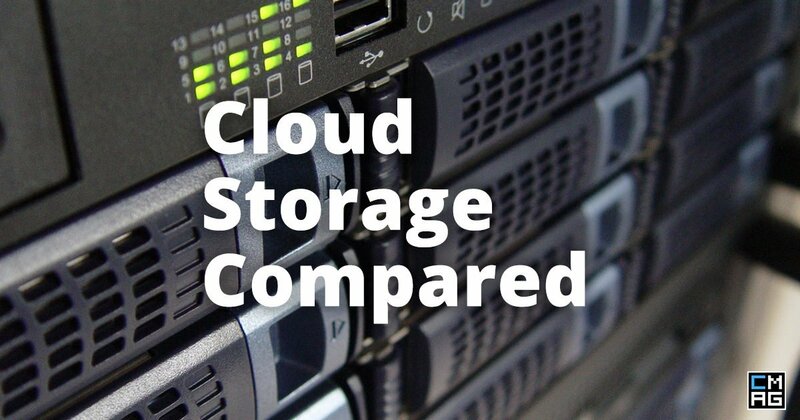 The side images—which I still need to add to my church’s website—really make the content pop and underscore the text. I’m tired of people ignoring the text on the site, and I think this feature will help. This is one of the most beautiful themes I’ve worked with. I use and recommend Studio Press themes for my non-church clients, but I think I might start pushing them toward churchthemes.com‘s Saved Theme, if it makes sense with their project/business. Even the mobile version, which might have a slightly small font size for my increasingly strained vision, is better than most premium themes I’ve seen. 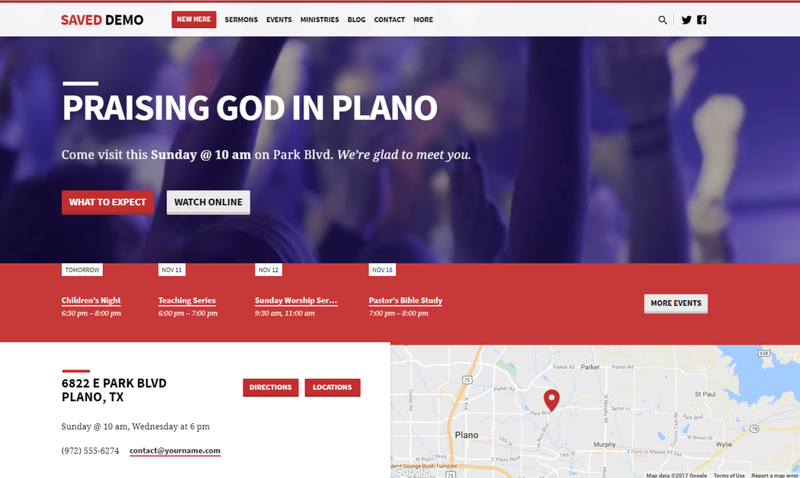 WordPress is the best platform, in my humble opinion, for church websites, but that only holds true if you select a well-designed theme that presents the church’s events, sermons, and other components in a clean and clear way. The themes from churchthemes.com have always done that, and Saved Theme does it even more! 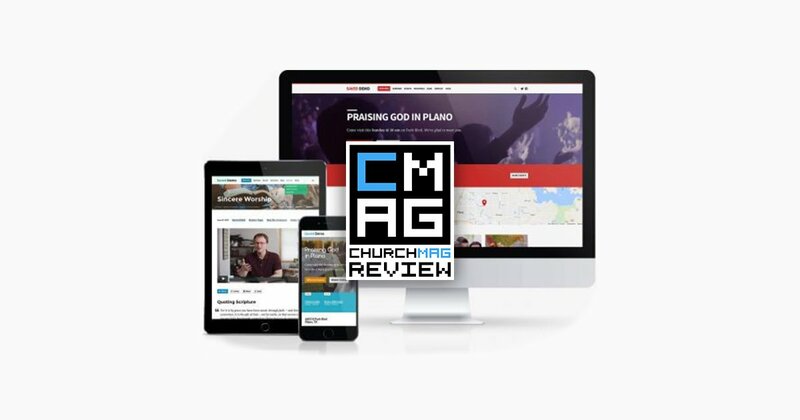 Do your church a huge digital favor and upgrade your site in a major way! To find out more about the Saved Theme, including how to purchase it, visit churchthemes.com today! Right now! Seriously, why are you still reading this? *We purchased Resurrect Theme, Exodus Theme, and Maranatha Theme from churchthemes.com, but I was given a copy of Saved in exchange for the review you’re now reading. Be sure, what you’ve read here are my honest thoughts. We’re using Saved as well at our church ( http://Krakow.church if anyone is interested) and it’s worked out really well. Flexible and has worked fairly well with WPML for our multilingual translation. Definitely recommend. Thanks for the comment, Chris. Flexible is just word. 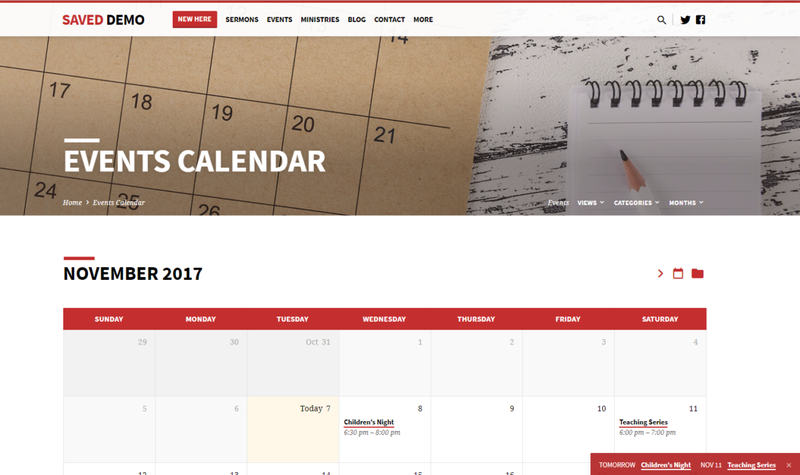 Churchthemes truly builds there themes to work across a multitude of church contexts. 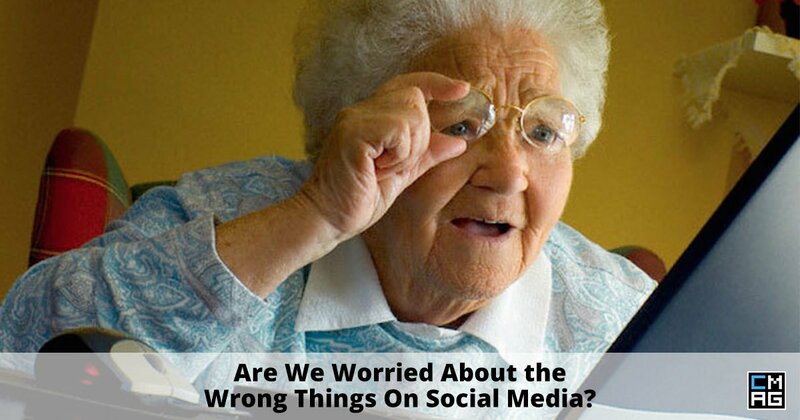 Are We Worried About the Wrong Things On Social Media?